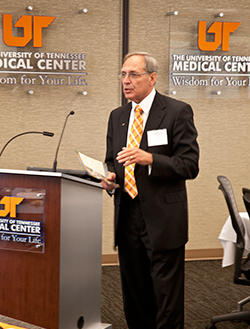 The UT Graduate School of Medicine formed the University of Tennessee Graduate School of Medicine Board of Visitors (BOV) in 2009 and inaugurated members with an Honorary White Coat Ceremony. The Board's mission is to advise and assist the Dean in strategic planning, the development and implementation of short- and long-term goals, community outreach and service, and the garnering of financial support for education, research and clinical care. The Board members were selected based on their expertise, interests in medical education and research, and ability to help the Graduate School of Medicine accomplish its mission. The Board of Visitors meets twice per year in February and September, and members also meet within their committees throughout the year. 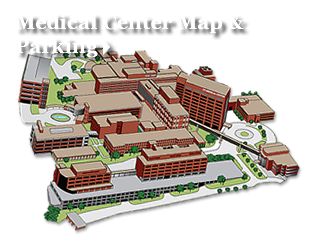 They play an integral role in branding the UT Graduate School of Medicine as well as strengthening philanthropic efforts. Dean Neutens, faculty and staff of the Graduate School of Medicine commemorated the inaugural Board members with an Honorary White Coat Ceremony, organized by Eddie Moore, MD, Associate Dean, Graduate Medical and Dental Education, to welcome them into the family of health care. During the ceremony, the Hippocratic Oath was recited, as is done in a traditional White Coat Ceremony. The Graduate School of Medicine welcomes the Board of Visitors to our family and looks forward to working with them in the years to come.